I’ve been feeling pretty selfish lately. Running is one of those activities where you can tend to focus a lot on yourself. Sometimes athletes can get some pretty distorted perceptions of reality and the world around them. 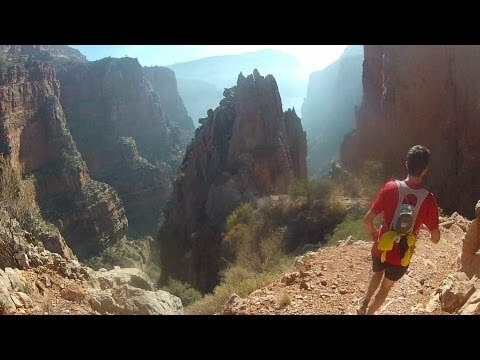 Now this could be a great thing when you are running in the majestic mountains, the grand canyon, your local trail, or are “in the zone” during an ultra marathon. The disconnect with other life-stress and the “me-time” to dedicate to a sport you love while improving your fitness should be celebrated and cherished. Some people play golf. Some people ski. Some people just watch tv (note: I don’t have a tv anymore…but I do like movies!). We all have 24 hours in a day. We all have hobbies, interests and dreams. But now as a pro-runner that lives the dream of running full-time, I’ve really come to realize that I’m not being as productive or proactive as I can be. While running is one of my true passions (and something now infused in my identity and lifestyle), it is still a gift; a luxury of sorts. Many others are not so fortunate to have the time and means to take part in such aerobic exercises. Many across the world are just wondering when they will get to eat next. Fortunately, in the niche sport of running, we have a strong community of individuals who lead, inspire, and support others. We have runners that raise money for charities; we have runners that build teams and organizations for social support and to raise awareness for a cause; we have runners that help non-runners start leading a more healthy lifestyle. People become motivated everyday. Let’s try to build upon that synergy, take action, and put the meaning back into running! It could be as simple as taking the time to give a beginner runner training/racing tips, or donating a can of food at the local drive. Many athletes from weekend warriors to famous professionals are already are quite active in this regard – and their efforts really need to be more recognized and applauded. Runners have lots to give (and we do), but let’s not rest on our laurels! 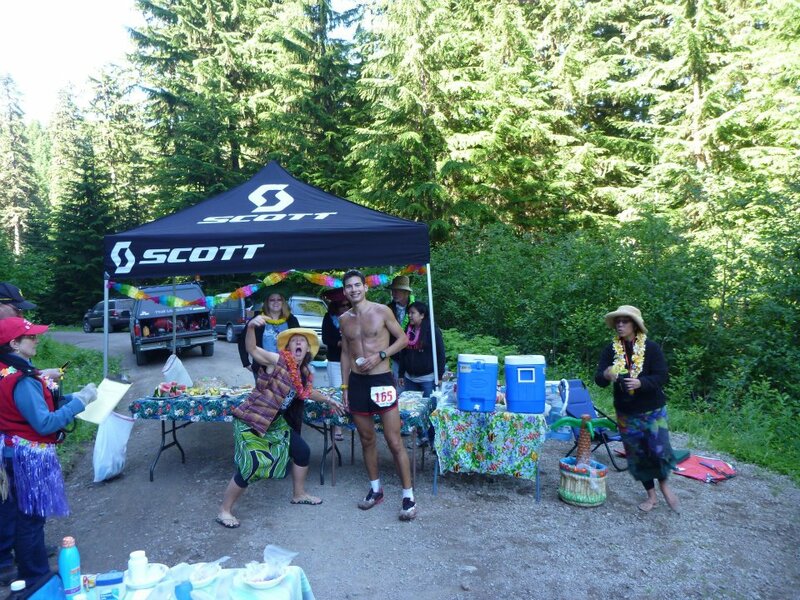 Putting The FUN back into running: The supportive crew around mile 35 of the White River 50 really inspired me to keep running at a strong pace when I was most tired. Simple, happy, and effective! 10-28-12: PM: Easy 40min out back S. boulder…right knee banged up…calf still banged up…quads sore. Took a couple pain pills and iced! 10-29-12: PM: Easy 72 min out-back flat trails. 10-30-12: PM: “uptempo Run” with some strides….7 miles in 38:19 (5:28/mile average). Actually got out on a measured road course and did a negative split for this. Felt surprisingly good considering my lack of any formal “speed work” recently. Just getting some leg turn-over in and dialing down towards lactate threshold. Not too shabby considering I’m probably still getting used to altitude also! 11-3-12: LONG RUN: Grand Canyon R2R2R 46 miles total in 10:45. Pretty chill effort. 11,000 feet elevation gain. Good time on feet. Quads a bit sore from downhill, put a little gusto in on climb to reach North Rim in 4:28 or so. Only took 40 ounces Gatorade, 2 Cliff Bars, 1 pack of Cliff shot blocks and 2 gels, and a glass of lemonade. Ran with an Ultimate Direction Signature Series Racing Vest and had plenty of room for lots of calories, a jacket, a camera and two 20 ounce fluid bottles. Wore my SCOTT eRide Trainer 2 shoes with Drymax socks and had no blister problems. Also had the Smith Optics Pivlock 2 Shades with their adjustable nose piece (key design feature) to protect my eyes from the glare of the sun. Did a lot of filming. Calf and knee felt good…a little ankle tendonitis. Not as high as I wanted, but have to be cautious with such big long efforts, introducing tempo runs, travel and still running through a little bit of tender knees/tendonitis. Really looking forward to getting in some harder long runs and building over 100mpw to get stronger for The North Face 50!